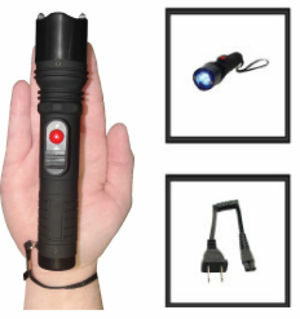 Our Security Guard series combines the safety of a rechargeable tactical flashlight with the security of a high powered stun gun. 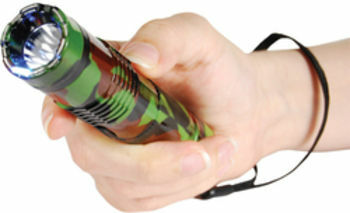 Although this model is the smallest member of this series, its power and features are similar to other models that are twice its size. 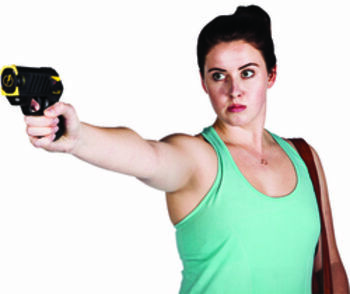 Safety Switch: To prevent accidental discharge, two levels of safety have been built-in. 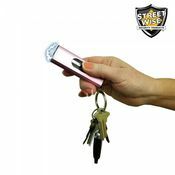 The safety switch must be in the ON position (and the Stun Activation Button must be pressed) before the stun gun will operate. 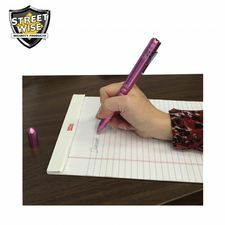 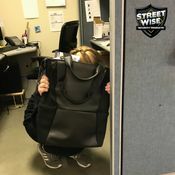 Holster Included: A stylish, durable holster is included for easy carrying. 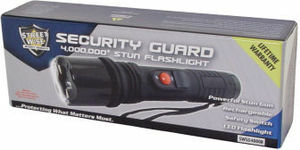 Lifetime Warranty: The Security Guard Stun Flashlight is made of the highest quality components and comes with a lifetime warranty. 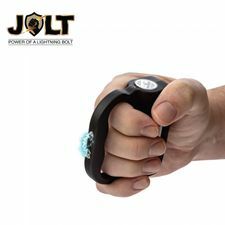 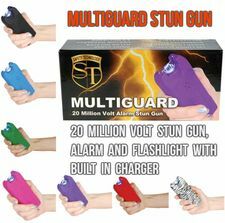 *The actual voltage emitted by any stun gun is difficult to measure but recently many stun guns have come to the market that claim to be millions of volts. 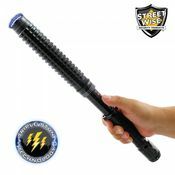 We wanted to show that the output of our model is similar to others which claim to emit 4,000,000 volts. 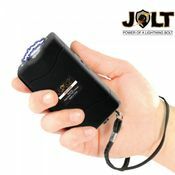 However, we wanted to be careful to not make an exaggerated claim which can not be verified so we have chosen to use 4,000,000 as a model number and not as a measure of voltage.